I love to use my voice as an artist to give back, especially in a way that creates a community of giving. The AIDS Action Committee is doing this, helping so many affected and I’m honored to be a part of it. 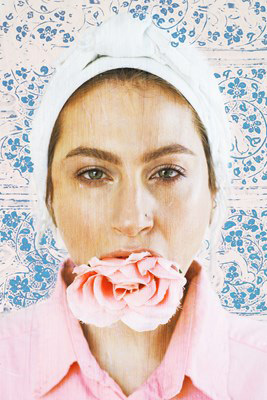 Bio: Feda Eid is a Lebanese American photographer and visual artist from Boston, MA. Her work explores the self expression of heritage, tradition, culture and identity and the often tense space between what is said, what is felt and and what is lost in translation. She is guided and inspired by her own story as a child of Lebanese immigrants who fled civil war and found opportunity in America and is a product of the American and global culture of today. She believes in the telling of personal narratives to help broaden our perspectives and ultimately help us see the universal emotions that connect us all. Feda has a BA in Sociology from Regis College and studied photography at New England School of Photography.